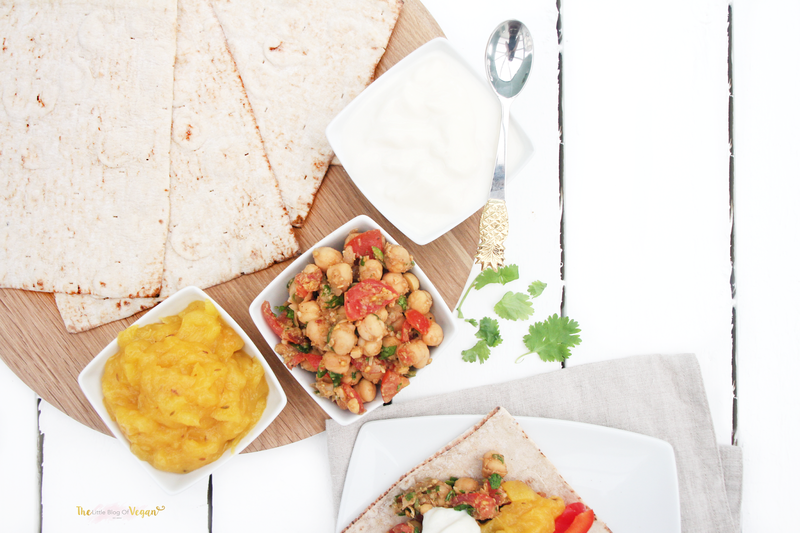 Chana Chaat spiced Chickpeas with fresh Mango compote & Coconut Yogurt, served in a delicious Gluten-free Wrap! 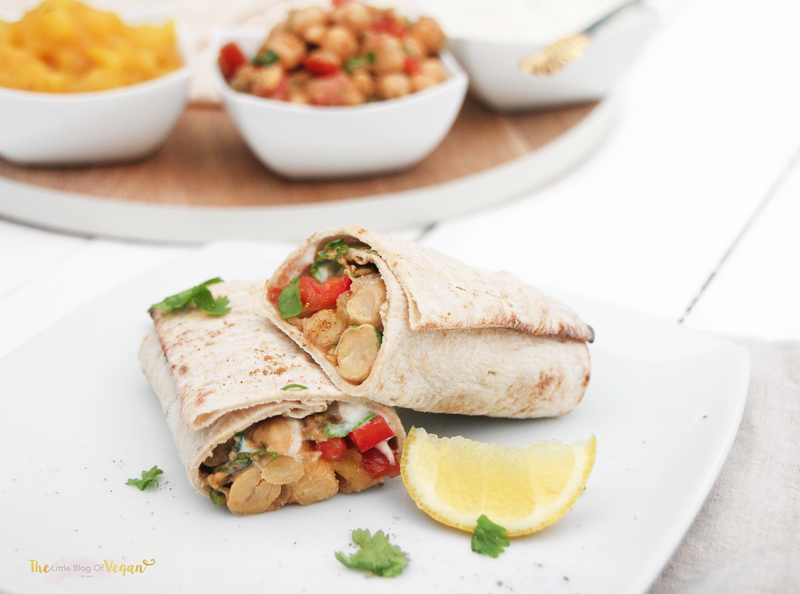 Wraps are very versatile and nutritious and can be enjoyed at home or on the go! I recently took a trip to Pret a Manger (read my Pret blog post here- http://bit.ly/29rsbBN) and purchased their Chana chaat Flatbread (I can now tolerate a little Wheat, occasionally). 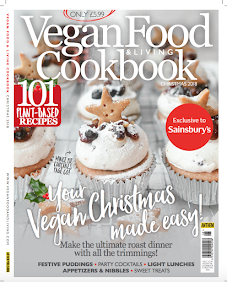 I loved it so much, i wanted to make my own version as well as being Gluten-free. This Recipe turned out really well and is similar. The taste & texture is delicious and the dollop of cooling Yogurt & homemade Mango compote really help to bring all of the flavours together. 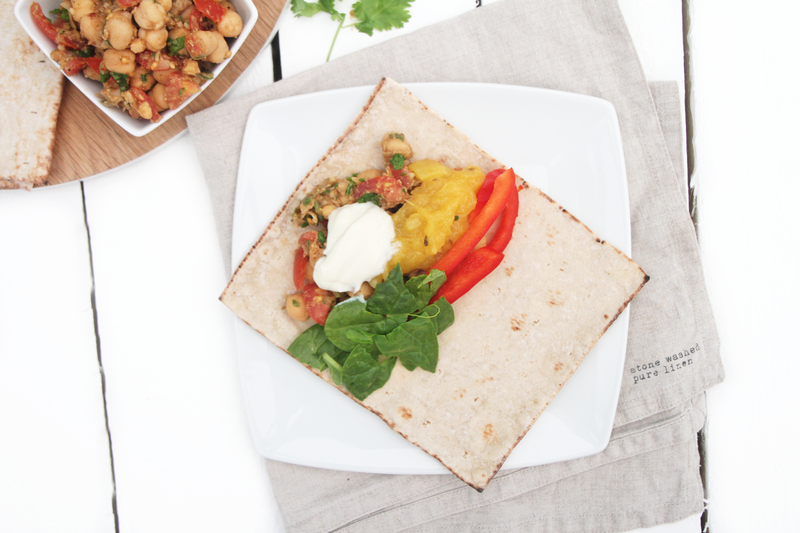 Tucked up in a gluten-free wrap, this Lunch option is very easy to make and full of goodness! 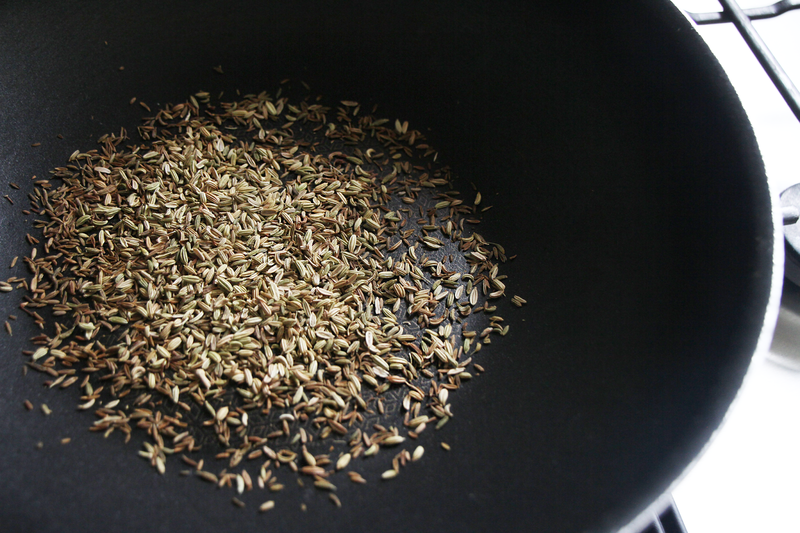 Step 1- Place the Fennel & Cumin seeds into a wok or large pan and dry roast them for 5 minutes, or until they turn golden/brown. Step 2- Place the dry roasted seeds into a food processor/blender, along with the Asafoetida, garam Masala, Ginger, Salt & Pepper. 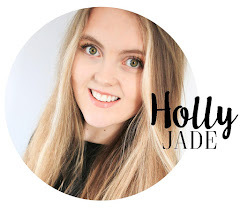 Whizz up until fully combined & smooth. Step 1- Place the peeled & diced Mango into a Small saucepan on medium heat, along with the Cinnamon, Vanilla, Lemon & Lime Juice. Continuously stir with a wooden spoon to prevent sticking. Step 2- Simmer for around 10-20 minutes until thickened. 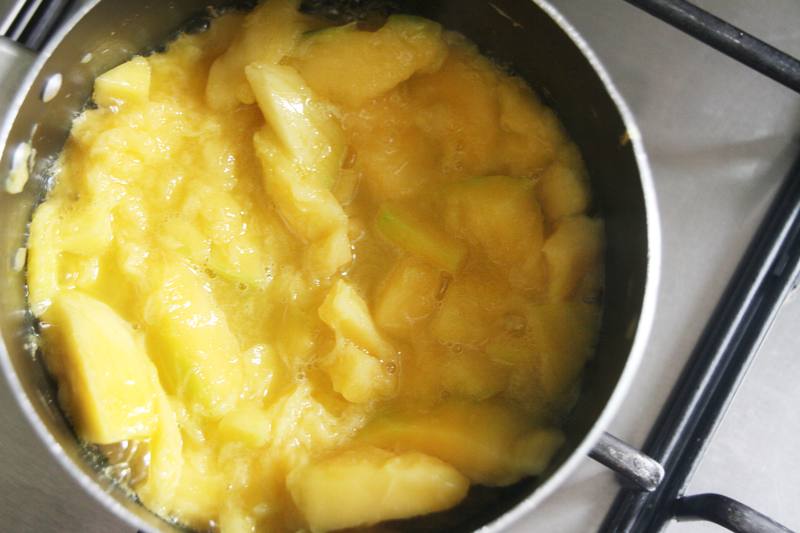 Mash any pieces of the Mango until the mixture is smooth. Step 3- Remove from the heat and place aside. 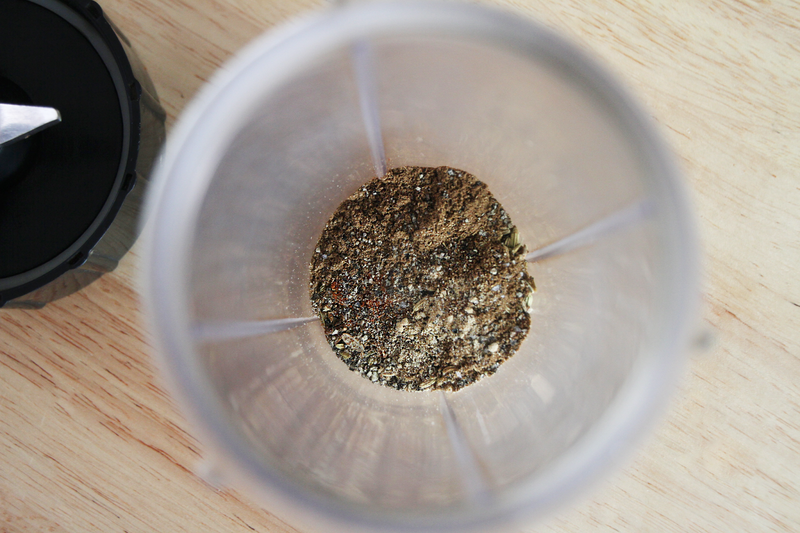 Step 1- Dry roast the Cumin seeds and whizz up in a food processor/blender until fine. 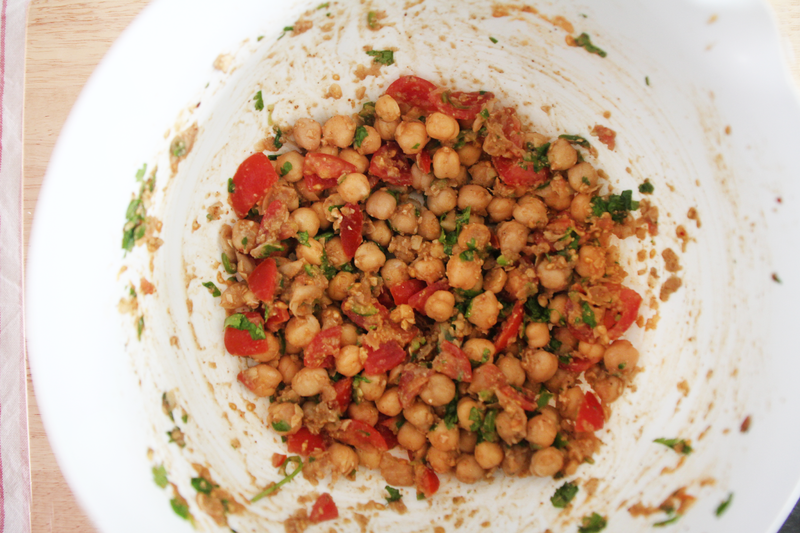 Step 2- Wash & drain the Chickpeas and place them into a large mixing bowl, along with the Chopped Tomatoes, Lime juice, Green Chilli (you may want to take out some of the seeds if you don't want it too hot/spicy), chopped Coriander leaves, Chilli Flakes, Chana Chaat Spice, Salt, Pepper and the Roasted,ground Cumin Seeds. Step 2- Mix with a wooden spoon until fully incorporated. 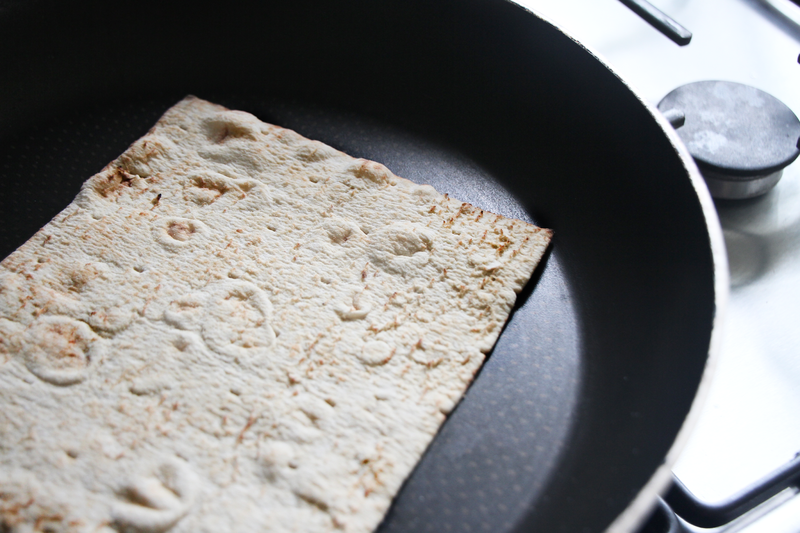 Warm up a Flatbread in a wok, heating each side for a few minutes. 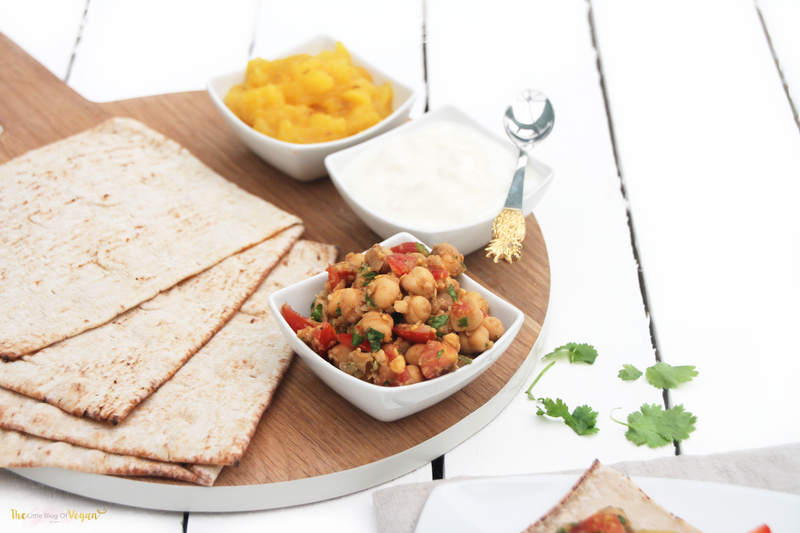 Place some of the delicious Chana Chaat Chickpea mixture into a fresh, warm flatbread and add some fresh Red bell pepper, Spinach, Coconut Yogurt & Mango Compote. 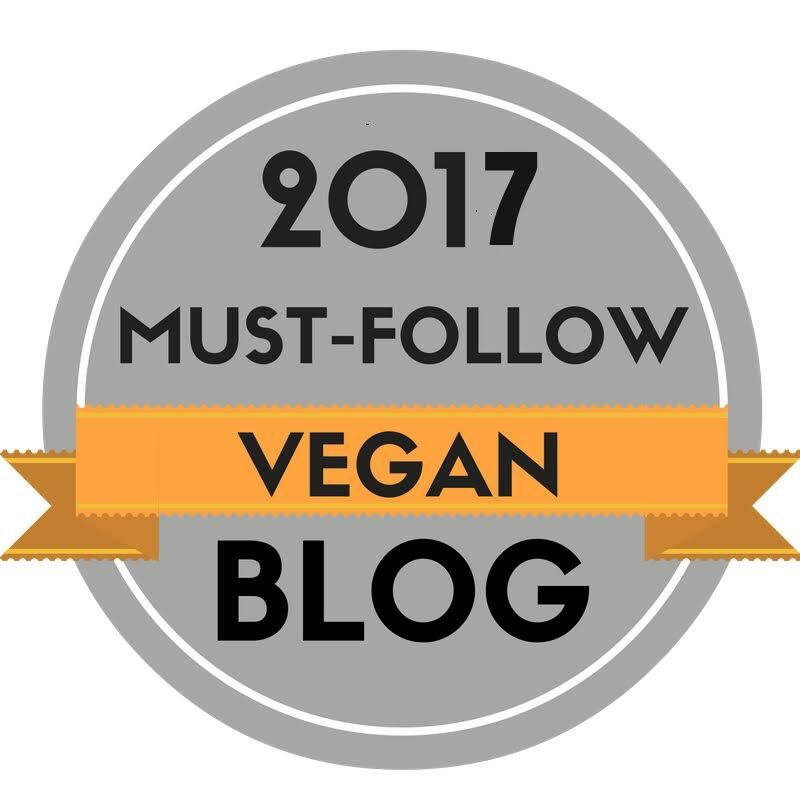 Thanks for this, been searching for a while! It's absolutely amazing!